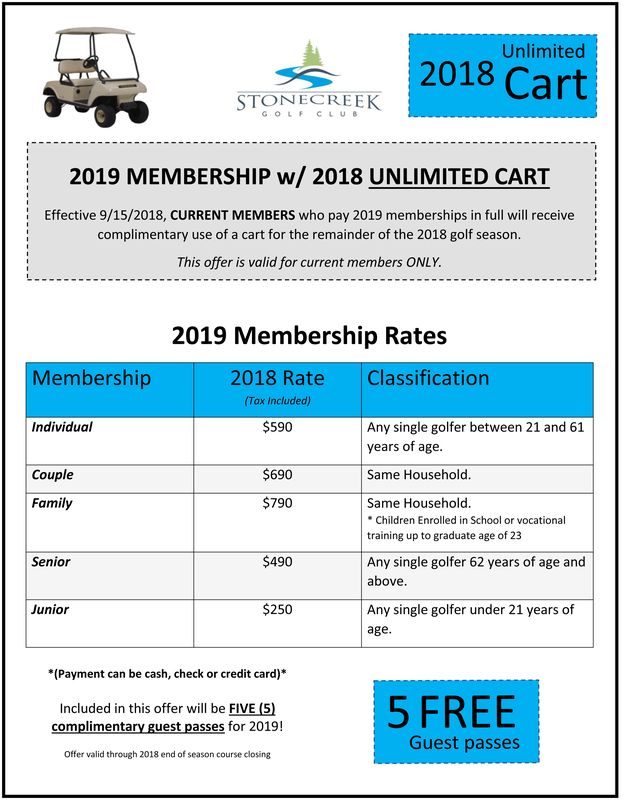 We have over 100 members at Stone Creek Golf Club! 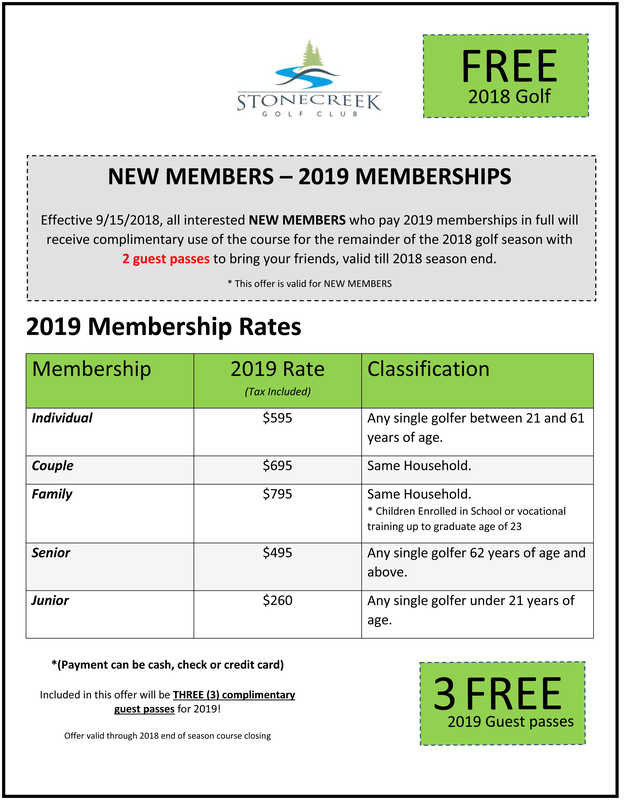 Memberships are available for individuals, couples and families. We are a family friendly atmosphere with a focus on growing the game of golf. We'd love to have you join our growing family. Please print and fill out this Membership Application. Directions are on the application. Contact the club house @ 1.315.343.2996 with questions or concerns!